Branko Mladichek - Master Builder, Developer, Property Inspection Expert, Building Expert. Expert in detection of invisible building defects and timber pests with Thermal Imaging Camera. 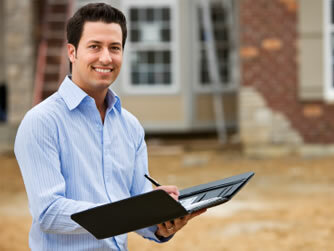 After over four decades in building construction and nearly a decade in property inspection we are at your service. We have had the ringside seat to an amazing variety of building problems and have a collection of over 100,000 photos of building problems or defects. The chances that we have come across your type of building problem, the correct diagnosis and appropriate prescription of cure are very good. We have lost the count of people building their dream, saved from abusive, intimidating, unscrupulous and downright incompetent builders, saved from expensive repairs, or from catastrophic property purchase and children saved from potential drowning or other risks. Occasionally, we have had the privilege of saving builder from unrealistic owners or owners determined to get something they have not paid for. Perhaps the most rewarding aspect of our job is expression of hope and confidence on client's faces that often replaces utter despair. Highest qualifications Degree in Building & Certificate in Thermography for Pest Managers from Melbourne University, Australia's best university and one of the world's best universities. Diploma in Building Surveying, Gordon TAFE Cert.3 In timber Pest Inspection , NMIT. Extensive Building Experience over 4 decades, Extensive Experience in property inspection for almost a decade with over 5000 reports and over 100,000 building defects discovered. Design, Construction, Management, Supervision, Tendering, Estimating, Cost Management & Control , Project Finance: Domestic Construction Commercial Construction Industrial Construction Commercial development Industrial development & property finance Residential development Public construction works & maintenance Government construction works Pre purchase building inspections Pre purchase timber pest inspections Building defect inspections and reports New home inspections Dilapidation reports Commercial/industrial building inspection Expert witness reports & attendance. Age wisdom and depth of knowledge that comes from all of the above.